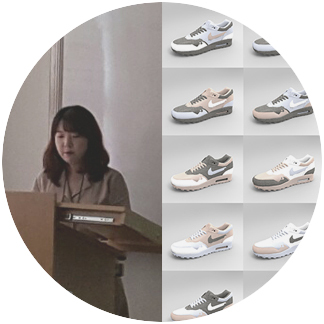 Hyunjoo Bae, a master candidate of Color lab, presented her recent work entitled, “The value and application of material reconfiguration of product design.” at KSDS (Korea Society of Design Science) 2016 international conference in Busan, Korea. The study provides evidence that material reconfiguration has a sufficiently impactful influence on on novelty, aesthetic preference, and overall preference of product design. In addition, she discussed the values and design implications of material reconfiguration as one of the way to explore various alternatives in material design process. During the presentation she demonstrated design tool that the material reconfiguration was embedded.